This is a solution of workforce planning assignment help in which we discuss on workforce planning implementation and workforce plan and evaluation. An internal labour need of an organization is basically the requirement of human resources in the organization for maintaining consistence in its operations. For operating the business smoothly, a proper workforce planning is must required in the organization. The workforce planning would help the Lion organization in attainment the right quantity of people with the accurate skills in the right jobs at the correct moment. Therefore, an appropriate workforce planning is all about formative and shaping the ability and potential of the labour force that would be needed in future in order to achieve the objectives and directions of the organization effectively. To well manage the internal labour needs of organization in medium to long term is the reason behind the introducing the workforce plan in the organization is (Wrench, 2016). The purpose of such workforce plans is to enable the Lion organization by supplying appropriate staff in readiness according to the future change in the organization. It is a tool that supports the organization to sketch for the future in order to foresee changes, proper management of the workforce and to meet goals of the business effectively. Understanding the strategic goals of the Lion organization and its subsequent impact on the labour force. Scrutinizing the organization’s present and future workers requirements and competencies. Examining the space between the present and future labour requirements. Development of strategies in order to tackle the workers gaps (Cortis and Meagher, 2012). Implementing the developed strategies in the organization in order to make parallel the labour force with future requirements of business. Calculating the achievement of the labour force planning by making a comparison against the patterns in existing employees and other workforce changes in the organization. Workforce Analysis: For developing the plan, firstly a proper workforce analysis is required. In this, a proper understanding of organization’s objectives and directions, its strong points and weak points and all inner and outer factors which influence the organization’s current and future labour demand and supply are studied. The organization’s direction could be reviewed by developing a better understanding of organization’s future mission, vision, commercial plans and targets. The more important information could be acquired by interviewing and organizing the workshops with the senior leaders and line managers of the Lion organization. This would help in obtaining information about the key workforce segments, the skill and behaviours qualities essential by these workers segments, any supposition related to the future demand for services and the important segments of the workers that may be the most valuable and expensive to lose (Rothwell, 2010). The outer forces that can influence the organization’s direction can be identified by conducting an environmental scan. The environmental scan can be conducted by using the using the tools such as STEEP analysis and SWOT analysis. The STEEP analysis would consider the demographic, social/cultural, technological, environmental, economic and political factors which can influences the organization’s direction. The SWOT analysis would review and analyse the organization’s internal and external strengths, weaknesses, opportunities and threats. Forecasting the future needs: For developing the implementation plan, the second step would be forecasting the future labour needs of Lion organization. For this, the questions like what new or changed services will be needed in the medium-term future, what will good quality service delivery would look like, what would be the structure and method of regional service delivery in future years, what will be the preferred image of the Lion organization in 3-5 years, what segments of the workforce will be crucial to the organization, etc are need to be considered (Sedighi and Loosemore, 2012). This would include the understanding of future work requirements of the organization, identifying the future competencies, developing forecast models and developing the forecasting assumptions and scenario building. Analysing Gaps: This is done by comparing the workforce analysis with forecasting in order to identify the current and future gaps between the demand for services and the supply of labour to meet those demands. For gap analysis, assessment of the characteristics, capacity and capability of the workforce would be the key elements. Development of strategies: In this strategies are developed which involve the planning and designing of specific programs and projects in order to enable the Lion organization to develop and maintain a capable workforce so as to achieve the objectives of the organization effectively. Implementing strategies: In this step, the plans and programs are executed to develop and maintain the capability and capacity of the workforce. These strategies are implemented into the broader business plan and operational management activities of Lion organization (Durst and Wilhelm, 2012). This includes execution of strategies, developing a change management strategy and aligning workforce planning strategies with organizational values and culture. Monitor and Evaluate: At last, after developing the implementation plan to addresses the internal labor needs in medium to long term of Lion organization, the next step is to monitor and evaluate the effectiveness of the implemented plan. This is conducted with the aim to establish the efficiency, effectiveness and suitability of the workforce planning policies and actions. The result of workers planning on the overall accomplishment of the organization’s goals and targets is determined by analyzing the performance. Recruiting a Diverse Workforce: For having a diverse workforce in the organization it is required to be more careful in deciding the mode of recruitment. The recruitment can be done by conducting campus recruitments, using various forms of sources such as newspaper, magazines, television and online sources. Growing the number of women workers: By increasing the female participation in the workforce would be the best way to have a diverse workforce in the organization (He.et.al, 2011). Today, the labour market is also changed demographically. Women are now more interested in order to serve their skills and capabilities to the organization. Industrial relation is the association that comes out from the everyday functioning and union of workers and management. The organization’s industrial relations climate is basically portrait the excellence of relation of labour-management in the organization. The different factors that affect the industrial relations climate are cooperation, participative decision making, trust, grievance resolution, dispute settlement, policies and actions of union officials, etc. The participation of the employees in the decision making process contributes to the form a favourable attitudes about industrial relations climate. The current industrial relation issues are related to the Fair Work Act. The workers has revised the Fair Work Act by entrenching the penalty rates for unsociable hours in form of contemporary awards, raised the right for flexible working hours, workers raises demands to include them in the discussion before bringing any changes to the schedule and for union meetings setting the launch rooms as default place for carrying out the meetings (Cummings and Worley, 2014 ). The act protects the workers working in Australia through introducing the certain rights that could not be undermined and these comprises working hours, annual leave, flexible working arrangements, public holidays, parental leaves, community service leave, notice of termination and redundancy pay and fair work statement long service leave. The implemented plan so developed will also involves the succession plans for superior staffs, plans for diversity management, redeployment, redundancy, recruitment and training for the subsequent year. It will also include the timeline after considering the industrial relations issues. Successive planning is done in order to identify and develop employees to fill the key positions in Lion organization. It makes the organization more competitive by improving the retention of talented employees and lowering the risk of losing the critical knowledge when a person leaves the organization as well as lowering the cost of recruiting the new talents. The succession planning is done through following steps. Creating a demographic outline of the labour force of Lion organization. Recognizing the key positions in order to find out the roles and proficiency to continue the smooth running of organization. For the key positions structuring the job profiles in order to detect the required proficiency, understanding and qualities. Discovering and accessing the potential applicants to choose who the best for the key positions. In order to create learning and knowledge transfer goals implementing employee development plans for the candidates. The successive planning would be beneficial because it facilitates the organization to have a right person in the correct position at the accurate time. It would develop a pool of talented applicants and help employees through career plans and aspirations. The succession planning can be developed in the organization by using the following two strategies (Schweyer, 2010). The first strategy is to develop a program to reward and recognise outstanding employee achievement in order to make them satisfied and happy with the job. This will to ensure desirable workers are retained in the organization. The second strategy would be the implementation of work/life balance programs. This would provide greater flexibility to the employees according to their needs and will ensure desirable workers are retained in the organization. The three key positions that can be used to implement a succession planning system in the organization are the HR manager, union leader for workforce community and the line managers in order to ensure that the desirable workers are retained in the organization. These key positions in the organization would help in retaining the talented workforce in the organization by having a conducting an appropriate leadership and motivation in order to identify their needs and satisfy their needs timely so that to keep them happy and satisfied. The reward system which includes the monetary and non-monetary rewards can be used to motivate the employees and make them for dedicated towards the work and more productive. The current developed workforce plan is so effective and beneficial to the organization as it reduces the conflicts at the workplace and increases the job satisfaction among the employees by retaining the talented employees within the organization. Against the pattern in existing in employees in the organization, the new workforce is more effective as it an organization to respond more speedily and tactically to a change. This is so because the organization and manager are able to recognize the emerging challenges in the workforce, market and business more effectively. The new workforce planning has improved the efficiency, effectiveness and productivity in comparison to those patterns in existing employees and other workforce changes because now employees’ posses the right talent and they are appropriate for the job. 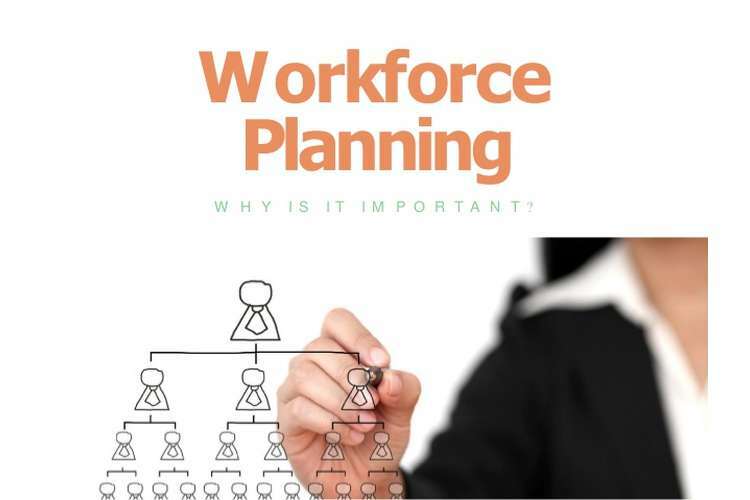 The new workforce planning facilitates the planned recruitment and plans for future workforce requirements as compared to the earlier pattern (Vance and Paik, 2015). It strengthens the capacity of the organization by supporting in the achievement of the goals of current as well as of future. It facilitates better understanding of profile of organization’s workforce which in return helps in aligning the policies and strategies of HR by maximizing the efficiency and productivity of the existing workers. The cost monitoring mechanism is also provided by directly connecting the overheads of workers against the outputs and outcomes of organization. How you rate the environment of the organization? Are you satisfied with the wage and salary? Do you get opportunities to develop the skills? Is your top management is cooperative? Do you feel the working environment to be safe for you? According to the survey conducted on 10 employees and line managers, it is observed that on the question How you rate the environment of the organization, three employees and line managers has rated it as satisfactory and four has rated as good while remaining has rtes as poor. The question based on their satisfaction with the wage and salary, three of them has rated it as a yes and remaining has rated it as no. the next question asked in survey that is get opportunities to develop the skills and five of them has rated it as sometimes while the remaining has rated by selecting the option never. The another question raised in the survey was based on the corporation they receive from their top management and six of them has answer by selecting the option partial, three of them has selected yes and the remaining has chosen no as a answer. The last question raised in the survey was based on their safety at the workplace and for this five has answered no whereas another five has selected yes as their answer. According to the reviews obtained from the survey conducted by involving at least ten employees and line managers, it is observed that there is a requirement to introduce some changes in the internal and external environment of the organization. There is a need to change the working environment of the organization by introducing the workplace flexibility so that the employees can maintain the balance between their work and life. The organization is also required to reconsider the wage and salary distribution in order to feel the employee satisfied and happy. Proper training and development programs are need to be conducted in order to improve the skills and capabilities of the employees so that they become more productive. The top management of the organization should also be supportive. Global Financial Crisis (GFC): The incident of 2007-2008 as GFC has impacted all business for their economic status and values. Organization of United State and other countries has lost a big amount of wealth and become part of unstable economic situation. Crisis has affected organizations planning to build up the effective workforce (Vance and Paik, 2015). However, Unemployment from the crisis helped organization to recover fast but not so effectively in term of quality and performance. Climate change: Lion organization also suffering with rapid nature of climate which is considered by most of employees for better health and security. But at other side, some of employees are loving climate at location of Lion for changeability. This is playing a vital role to sustain the employees for a long period. Most of employees prefer to work in New Zeeland rather than to Australia because of favourable climate conditions. Workforce casualty: Peoples are altering their choice to become casual in working hours. They are making full time or part time according to their requirements which is generating problems for Lion organization to create dedicated workforce (Schweyer, 2010). Major Fire: Organization needs to deal with fire equipments for cooking and preparation of food but incidents happed with fire has alarmed the employees of every organization to be aware and careful. Lion organization is facing problems in creating a workforce which is dedicated to fire based events as a result lacking in professionalism in food preparations and fire workers. Epidemics: Spread of disease in particular time or community members is being barrier to get close relationship within workers. They are being separated and self-owned in case of epidemic sessions in organization (Fapohunda, 2013). However, Lion always try to keep the workers healthy and aware. Cortis, N. and Meagher, G., 2012. Recognition at last: Care work and the equal remuneration case. Journal of Industrial Relations, 54(3), pp.377-385. Durst, S. and Wilhelm, S., 2012. Knowledge management and succession planning in SMEs. Journal of Knowledge Management, 16(4), pp.637-649. He, Y., Li, W. and Keung Lai, K., 2011. Service climate, employee commitment and customer satisfaction: Evidence from the hospitality industry in China. International Journal of Contemporary Hospitality Management, 23(5), pp.592-607. Phillips, J.M. and Gully, S.M., 2015. Strategic staffing. Pearson.